يقع فندق Blue Pelican Motel، المصمم ليناسب كل الضيوف سواء كانوا من رجال الأعمال أو السياح، في مكان ممتاز في أحد أكثر المناطق تفضيلاً في تويد هيدس. يقع مركز المدينة على بعد 1 km فقط. ويمكن الوصول إلى المطار خلال 5 دقيقة. يضفي محيط الفندق اللطيف وقربه من Our Collective, The Tweed Hospital, Tweed Markets - Sundays سحراً خاصاً على هذا الفندق. استمتع بالخدمات الراقية والضيافة التي لا مثيل لها بهذا الفندق في توييدرهيدس. هذه بعض الخدمات الموجودة في هذا الفندق: واي فاي مجاني في جميع الغرف, مرافق مخصصة لذوي الاحتياجات الخاصة, تخزين الأمتعة, واي فاي في المناطق العامة, صف السيارات. في Blue Pelican Motel غرف نوم يزيد عددها عن 20 صممت بذوق وعناية لتوفر لك كل وسائل الراحة . بعضها يحتوي أضاً على تلفزيون بشاشة مسطحة, هاتف في الحمام, سجاد, مرآة, إغلاق. يقدم الفندق مجموعة رائعة من الخدمات كمثل مسار جولف - ضمن 3 كم, حمام سباحة خارجي, غوص, صيد السمك, سبا، لجعل إقامتك تجربة لا تنسى. يحظى فندق Blue Pelican Motel بموقع ممتاز وخدمات يصعب منافستها. 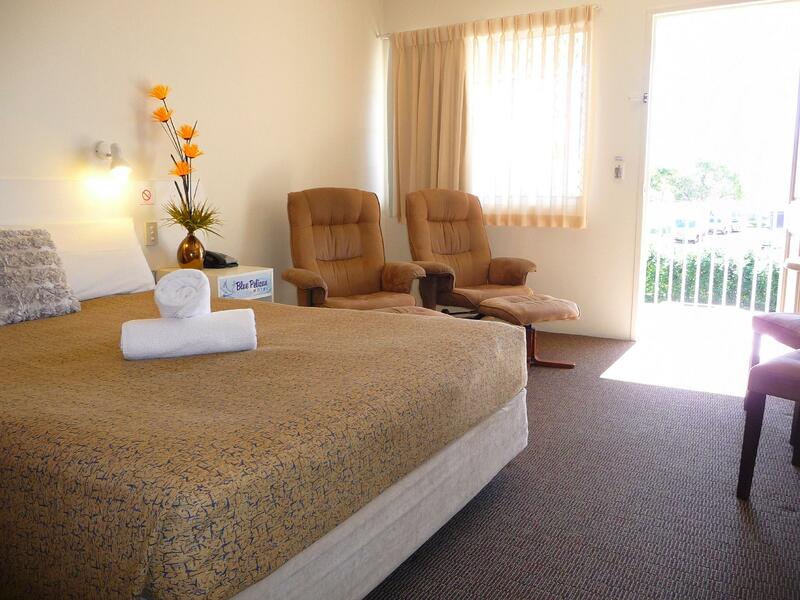 The Blue Pelican is very conveniently located on a main thoroughfare close to the centre of Coolangatta - Tweed Heads. In spite of this, however, traffic noise is quite unobtrusive. Access from the north is not ideal, but a turn at the lights and a quick trip around the block makes for an easy alternative approach. 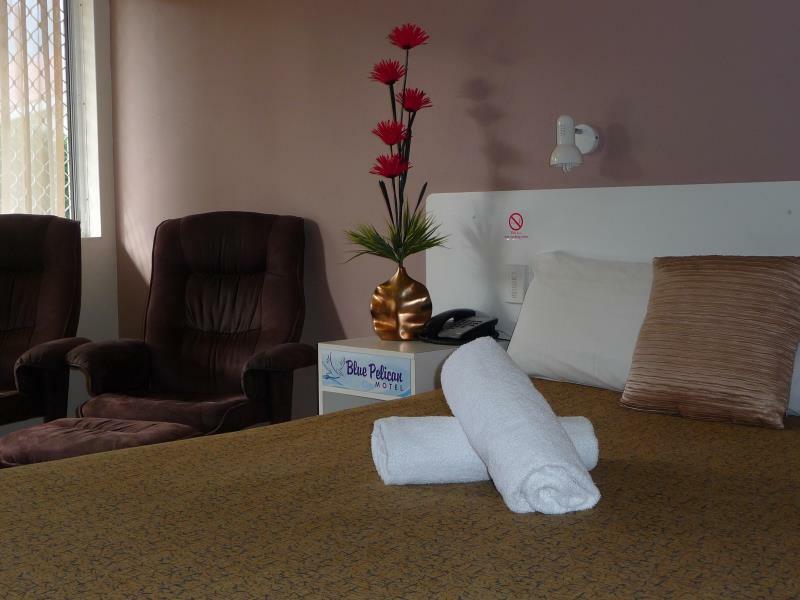 We have stayed at the Blue Pelican twice now and have found it to be well managed, quiet, clean and comfortable and ideally suited to our purposes. We booked for one night online with an estimated arrival time of 6pm, at 6:40 we received a phone call asking how far away we were to which we answered 20minutes. When we arrived at 7pm we were told our room would not be ready to check into until 7:30 as there had been an issue with the last guests check out. Which would have been fine, had Staff not knocked on our door at 10am on the dot the next morning chasing us to check out! It’s clear we were nothing but dollars signs to them, no customer service, no hospitality, no return customer here. Room was very basic with modest cleanliness. People were sitting outside our room smoking until 4am. 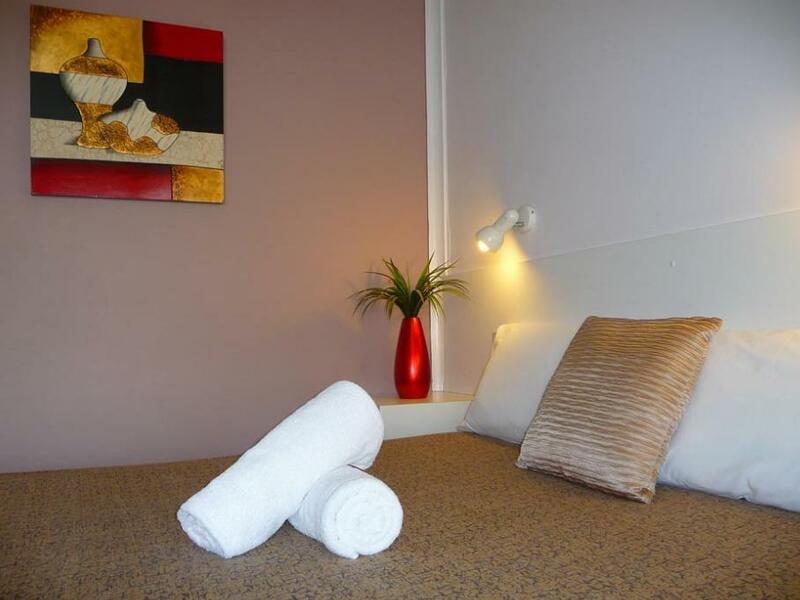 Good basic accommodation if you want to leave early for the Airport. 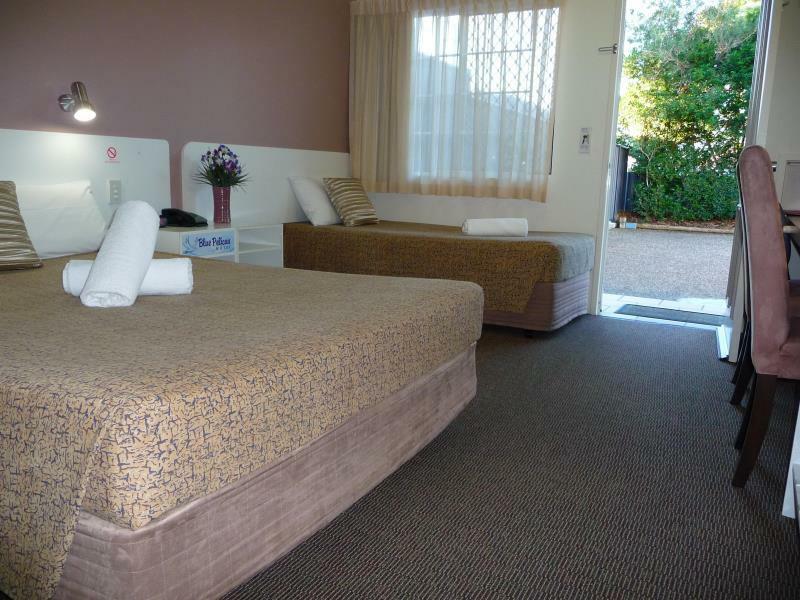 All you need for a night stopover, clean, fresh sheets and towels, quiet although on main road, great meal at club across road, perhaps could have more security lights over parked vehicles, were dark spots. We have stayed at the Blue Pelican in the past and have found it to be quite pleasant. This time, upon arrival, the lady(No Introduction given) who attempted to greet us with a smile, didn't make us feel welcome and did not seem to be interested in promoting the loyalty card that we queried as we were confirming our booking. It was a bit slap-dash. The room seemed to present a low atmosphere and appeared dull. The bed was extremely uncomfortable and we could not be bothered facing the same woman to tell her our thoughts, simply because she probably would not have cared in any case! It was clean enough but it just did not live up to past experiences and we also believe first impressions at the counter upon arrival made all the difference to how we reviewed it this time round! Nice pool though. My 6 year old had an very early appointment at the hospital. The location was great as there was a place to eat dinner in walking distance as well as a cafe for breakfast & the hospital was just around the corner. 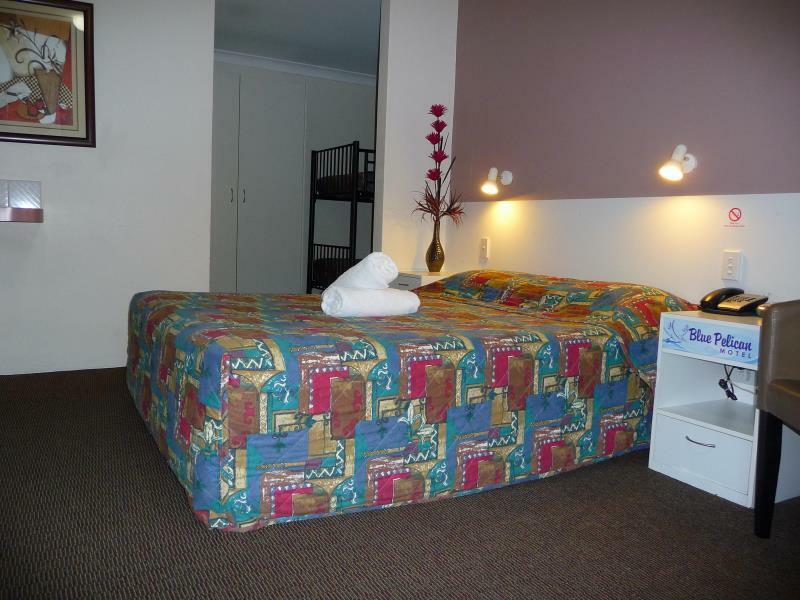 The room was basic but was all we needed and most importantly it was very quiet and we had a great nights sleep. Always enjoy the stay at Blue Pelican. It is convenient and easy access to the fabulous nineteen 21 restaurant at THBC across the road. Really enjoyable stay. 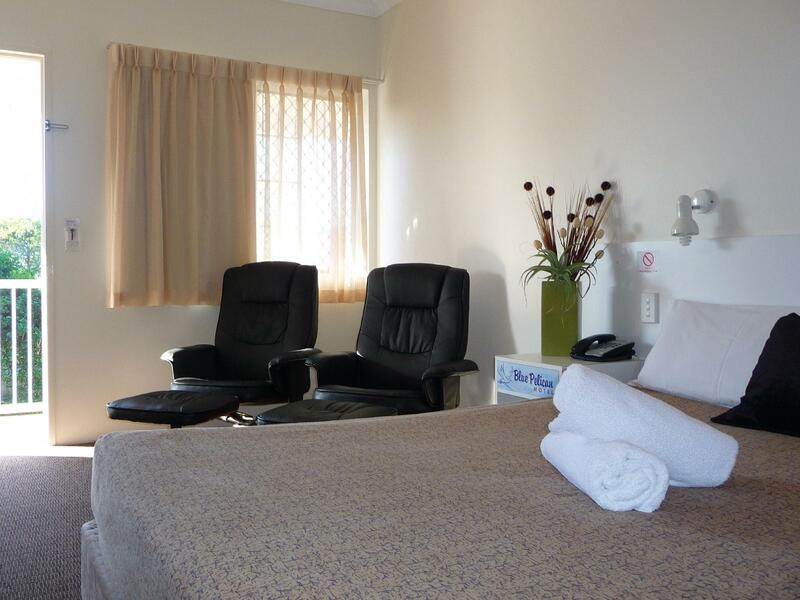 Helpful management and close to restaurants, beach,river & airport. Cleanliness proximity to shopping enough beds for all 5 of us. Great ! Met our needs for a comfortable night's sleep.